The Woolsey Fire burned 96,949 acres, destroyed approximately 1500 structures, and became one of the most destructive and costliest fires in Southern California. 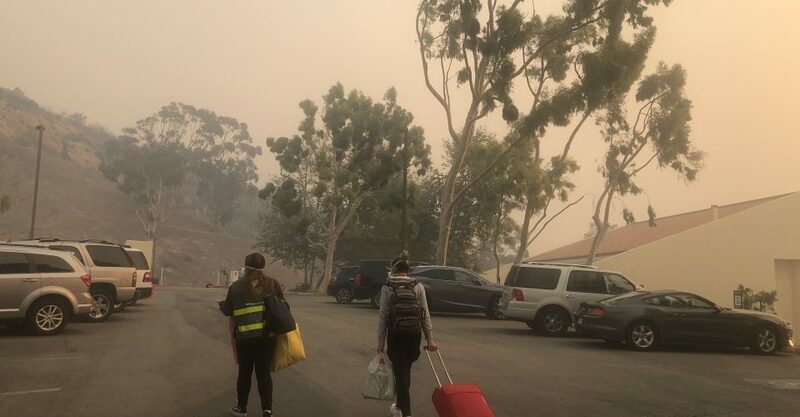 However, as many communities were evacuated, students at Pepperdine University sheltered-in-place on campus, an action that drew a lot of criticism to the university’s fire response. The entire city of Malibu was under mandatory evacuation beginning in the early morning of Friday Nov. 9th. When residents were allowed to return to their homes many found nothing left. 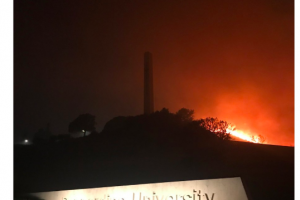 In accordance with a 33 year-long shelter-in-place policy, students and faculty sought refuge at Pepperdine that same night, as flames advanced on and eventually breached campus borders. In the end, no lives were lost or structural damage done to the Malibu campus. 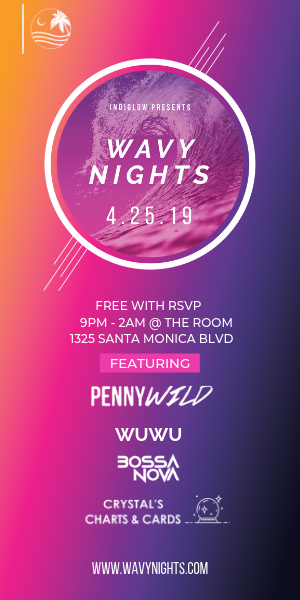 However, as the fire surrounded campus and flames came closer to students, controversy over Pepperdine’s shelter in-place policy ignited and caused many to question the validity and motives behind the policy. Malibu residents voiced their concerns and disapproval of Pepperdine’s shelter-in-place policy on social media and at public meetings. A major worry was that by sheltering students in place, firefighters were forced to protect the school instead of saving other areas or homes. However multiple people have spoken to debunk the claim that Pepperdine keeps students on campus to protect its structures. At the Santa Monica town hall meeting for evacuees, Los Angeles County Fire Department Chief Deputy David Richardson said the shelter-in-place policy is a viable option to implement when a fire threatens the campus. “It is something the fire service utilizes as a tool and will continue to use throughout the years,” Richardson said. City Manager Reva Feldman said the firefighters who went to Pepperdine not only protected the Pepperdine campus and the Pepperdine students, but they also protected the rest of the city of Malibu. Feldman also reminded people at the town hall that many students on campus are far away from home and do not own cars. “There’s no way to quickly evacuate 3,500 18- to 20-year-olds without vehicles,” Feldman said. Los Angeles County Fire Public Information Officer AJ Lester said firefighters’ priority during a fire is to save lives, property and the environment. Lester said he understands why people might be frustrated with the policy. “I think the anger of residents has a lot more to do with just the size and breadth of how fast this fire spread and the amount of damage that it caused,” Lester said. 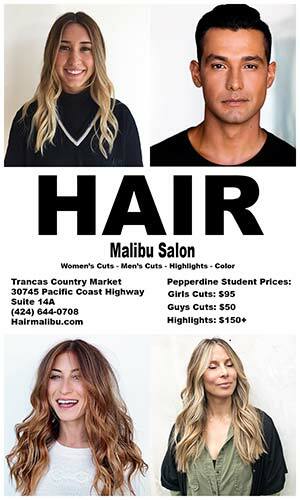 However, as far as the public being concerned with the shelter-in-place protocol taking resources away from other other areas in Malibu, Lester said it is not necessarily true. Connie Horton, vice president of Student Affairs, said she also understands why Malibu residents were upset. Fifteen years before his presidency, during the 1985 Piuma Fire, Pepperdine President Andrew Benton said there was no effective policy to deal with students during fire emergencies. He said many people, administration, students and himself included, just left campus. The plan that emerged was the shelter in-place policy. Pepperdine worked thoughtfully with the Los Angeles County Fire Department to develop the best plan for the university in the event of a wildfire. The Woolsey Fire was the sixth time the policy was used. The design of the Pepperdine campus provides natural fire breaks, and is one of the major reasons why the shelter-in-place policy continues to be used. Campus buildings are constructed with fire-resistant materials such as tile roofs and glass windows. Benton said brush is cleared 200 feet from habitable structures on campus and 50 feet from roads to minimize fire danger. During fires, the fire department uses Pepperdine’s lakes on Alumni Park to refill their helicopters’ water tanks. Lester said Pepperdine is an area the fire department can use to stage resources to try mitigating problems as they come up. “Whether it’d be a structure that starts catching fire or a canyon that flares up, we use that area as kind of a staging location,” Lester said. Benton said Pepperdine’s conviction is that it is far safer to remain put than to leave campus. Early morning Friday Nov. 9, the City of Malibu issued a mandatory evacuation notice which led thousands of residents to take Pacific Coast Highway and head towards Santa Monica for safety. Many leaving Malibu spent hours in traffic. “Adding another 3,500 people to that evacuation process is only going to take to make the process longer and have more people clogged,” Lester said. 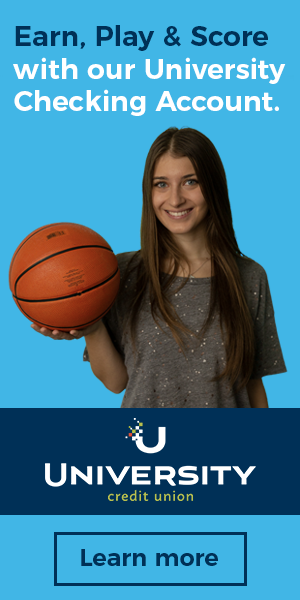 There are limited numbers of ways to travel from the campus. Power outages and spurious cell service made it difficult for people to know what roads remained opened and closed. Roads stayed congested nearly all day, as emergency responders tried their best to evacuate all residents and fight the fire. Pepperdine administration worried students safety would be compromised if they decided to get out on the roads. Sophomore student Juan Carlos Hugues also shared this sentiment, which is why he said he decided to stay. For the entirety of the time students were sheltered-in-place, various resources were available to them, which is why administration heavily advised students to remain put. Whether for fear of safety on the roads, lack of a place to escape to or transportation to get there, Benton said about 600 people, including students, faculty and staff, chose to shelter in-place on Friday rather than evacuating. Horton said the morale was high during most of the day while shelter in-place protocol initiated starting at 7:07 a.m. on Friday, Nov. 9. Students sheltered in Firestone Fieldhouse gymnasium, the Waves Cafe and, later in the day, Payson Library. People set up tents, sang songs and played games. “The initial part was almost like a slumber party kind of feel,” Horton said. Senior Graylen Goff works for the university’s Health Center and volunteered her time working in the makeshift first aid clinic set up in the cafeteria Fireside Room during the fire. Goff said she experienced a sense of “community and calm” among those who decided to stay on campus. “Even with the disaster going on right outside of our doors, at one point students started singing “Don’t Stop Believing” and Christmas songs on the piano,” Goff said. However, as the day progressed, night fell and flames spread closer to Pepperdine, emotions “heightened,” Horton said. Goff said, at one point, she could smell smoke inside the buildings. It became so bad that workers in the first aid clinic had to barricade the cracks of the doors with wet blankets to keep smoke from coming through. Pepperdine Medical Director Lucy Larson wrote in an email that “smoke inhalation” is a major concern during fires. Breathing in smoke can lead to dangerous exposure to carbon monoxide and other small particles. Larson masks, oxygen, antibiotics, fluids, medically trained providers, and other emergency supplies were all available in the first aid station in the Fireside Room during the fires to address any medical problems the smoke may cause. The Health Center passed out masks to everyone taking shelter on campus. As flames approached, students could see the blaze from the windows of the library and the air quality grew increasingly worse. Connie Horton addressed students on Friday evening saying they would continue to see flames, but was totally confident they would remain safe. Several sources confirmed that sheriffs came on campus at one point Friday night and urged the people there to evacuate. Despite some rumors that door guards were stationed to prevent people from leaving, Horton said students were allowed to make the decision for themselves whether to evacuate or shelter in-place. Benton said around this point in the night, after firefighters and flame arrived on campus, the number of people sheltering at Pepperdine dwindled from about 600 to 300. Addressing the people remaining in the cafeteria, Benton said he was “irritated” and nervous that the miscommunication “frightened some of your brothers and sisters out into the roadways.” He pointed out reasons to stay in his brief speech. Another area of confusion arose when rumors spread that students were being held hostage on campus, and not allowed to leave. Hugues said seeing the flames and hearing people from outside spread misinformation heightened his fears. Hugues said he trusted Pepperdine through the process, but believes Pepperdine could avoid misinformation from spreading by explaining the shelter-in-place policy to students and community members before an emergency. At the public meeting, Feldman said the City of Malibu would talk to Pepperdine about the shelter-in-place policy and look at different options. Pepperdine administrators said they are confident sheltering in-place works, but are willing to look at options that could make it safer for students. Given the combined force of Pepperdine’s recent efforts to grow in size, increased on-campus housing and Malibu’s remote location with only two major arteries along the coast to go in and out from, the number of people impacted by wildfires will continue to grow. The shelter-in-place policy will have to be analyzed for the safety of both the city and the university.